Like I've mentioned in previous posts, the start of this new year has been tough on me - my cat Havoc was ill, I've been sick since January, and with the appalling state of our country I feel like I'm living in the Idiocracy movie. In the midst of this madness I've been looking to things that makes me happy, because I need a boost of hopefulness to take away my blues. Sometimes I made gratitude lists, noting things that I love and that bring a smile to my face. It may seem silly, but making lists of things I love lately really boosts my spirits! Plus, later I can go back and reflect on these lists and they make me realize just how much I have to be thankful for. 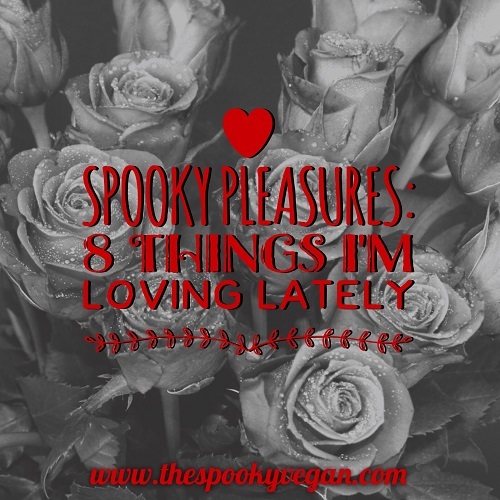 Here are eight spooky pleasures that I've been loving lately! 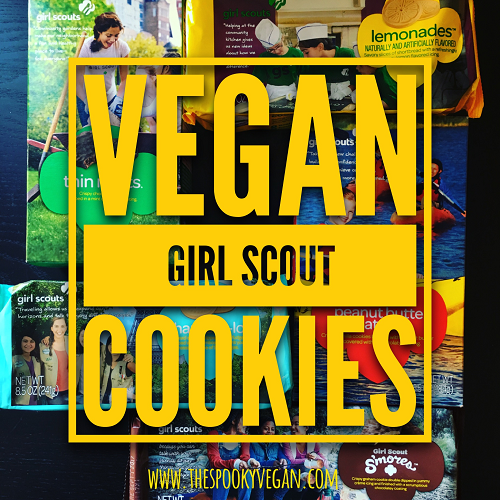 Girl Scout cookies are such a treat this time of year and the good news is that they offer more vegan options now more than ever. In fact, there are now a total of five Girl Scout cookie varieties that you won't believe are vegan! 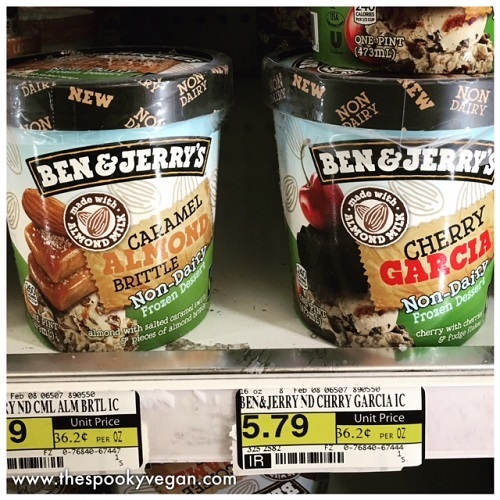 Read more about these vegan varieties and where to find them below! 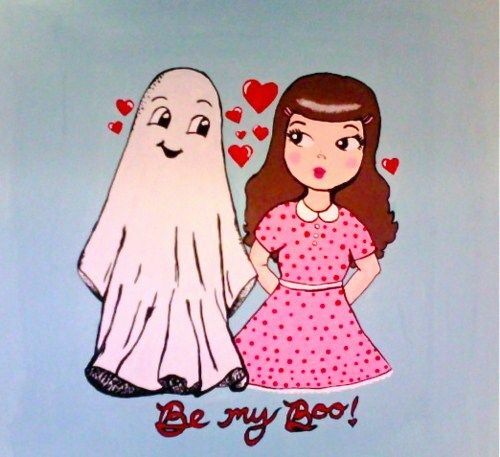 Eeeek today marks 250 days to Halloween!! 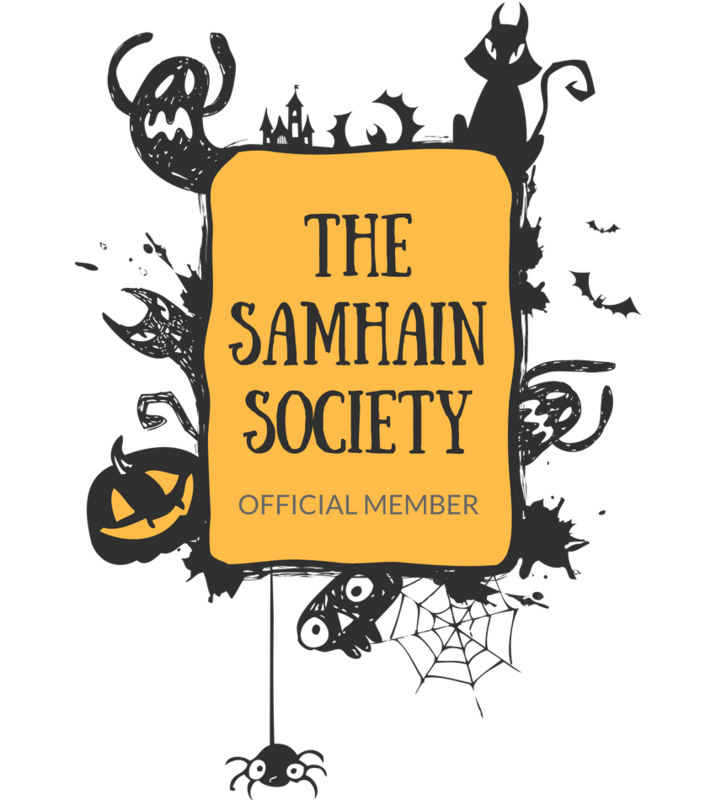 Have you started planning yet for Halloween 2017? Will you be having a party or attending any other events this coming October? 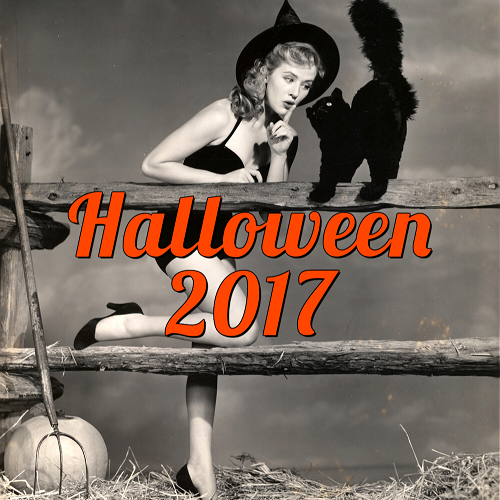 I already made my Halloween wish list for 2017, I hope to visit the places I've listed there this year! Who else is excited for Halloween 2017?! Halloween lovers rejoice! Southern California has six upcoming Halloween-centric events that will help you keep your spooky spirit satiated until autumn arrives! 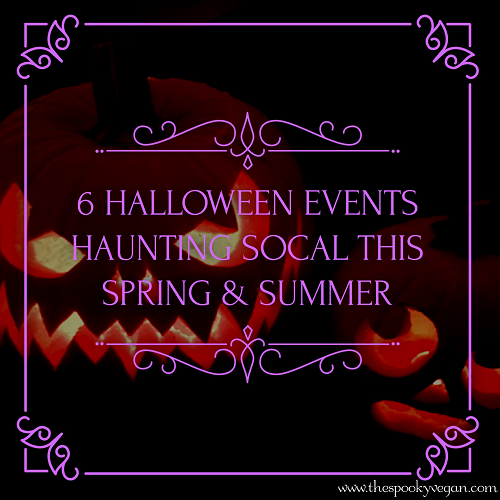 These events will be haunting SoCal from spring all the way through summer to help you celebrate Halloween everyday through these dreadfully cheery, sunny months. If you're anything like me, you've had the Halloween blues and have been pining away for October nights, haunted houses, spooky costumes, scary stories, and orange and black decor. Thank goodness that we have all these Halloween events happening throughout Southern California to give us pumpkin spice and everything not-so-nice! I've listed six spellbinding events below. They are ordered chronologically, so you can easily mark your calendars with these eerie Halloween events you won't want to miss! 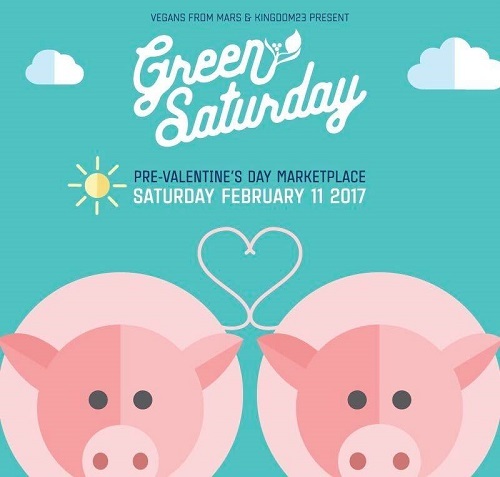 Green Saturday LA is back this weekend just in time to get all your Valentine's Day shopping done! 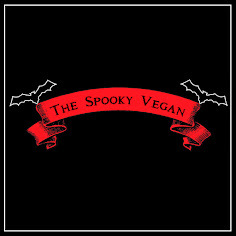 This cruelty-free marketplace is THE place to find unique gifts, delicious food, and even enjoy a beer with friends in its bigger, better location at The Alpine Village in Torrance, California. This Saturday, you will be able to shop everything from apparel to food to art to housewares to toys to makeup to chocolates to accessories and much more from your favorite vendors. 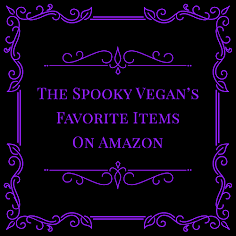 You'll be able to find yourself or that special someone the perfect gift that is made locally, supports the local economy and veg community, and is cruelty-free! Not to mention that a portion of proceeds are donated to the local rescue organization Whiskers and Tails Foundation!